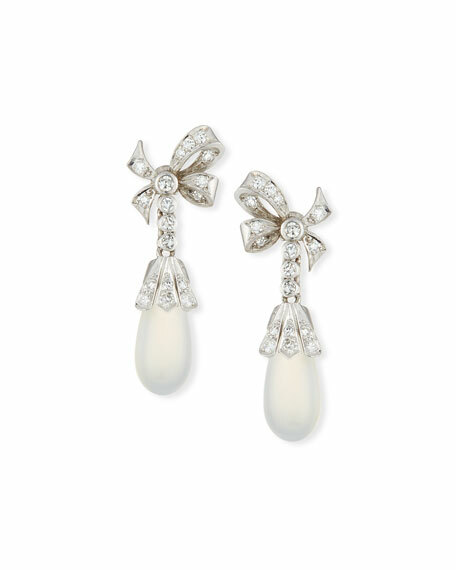 Moonstone drop earrings by Turner & Tatler. Polished 14-karat white gold hardware. Diamond pavé bow posts and drop caps. Approx. 0.5"L x 0.3"W drop.